Internet Speed Test: 3G, 4G, LTE, and Wifi — Who Wins? 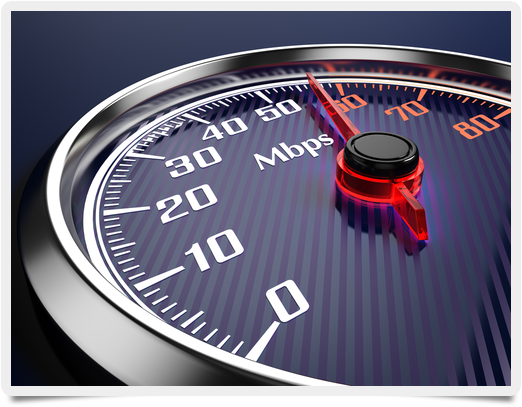 Broadband @ Home » Broadband Types » Internet Speed Test: 3G, 4G, LTE, and Wifi — Who Wins? If you’re using a tablet or smartphone, chances are you’ve got more than one way to connect to the Web; the latest devices offer not only 4G connectivity but 3G compatibility and WiFi. But which connection type is fastest? If you run an Internet speed test, who comes out on top? First generation (1G) cellular devices were analog phones. Second generation (2G) introduced digital along with limited Internet connectivity. In the third generation (3G) and fourth generation (4G), however, things got interesting. Both 3G- and 4G-enabled devices offer broadband access to the Internet but have very different speed standards. To be qualified as 3G, a network’s peak transfer rates only need to reach 200 kilobits per second (Kbps). If this sounds slow, it is — the standard was established in 2003. Many 3G networks now offer speeds ten or twelve times that fast. 4G networks, meanwhile, must offer transfer rates 100 megabits per second (Mbps) when users are “mobile,” for example, in cars or buses, and 1 gigabit per second (Gbps) when users are stationary. It’s important to note that these are “peak” values, meaning distance from the connection’s source, number of users connected, and even weather can all impact transfer rates. In addition, there are multiple 4G networks in operation. LTE, which stands for long-term evolution, is one of three major 4G networks used in the United States. HSPA+ and WiMAX are the other two contenders, and each claims to be the most reliable solution for 4G users. By the numbers, LTE comes in with the highest theoretical top-end, offering 300 Mbps download and 75 Mbps upload speeds. WiMAX is next, with 75 Mbps download and 30 Mbps upload, followed by HSPA+ at 42 and 23, respectively. On paper, this means a slam-dunk for LTE, but some experts argue it’s not so simple. Again, these are peak values, meaning transfer rates no normal user will see. Instead, it’s more likely that all three networks will provide speeds in the mid-to-high single-digit range (5–9 Mbps) on average. While it’s too early to call an Internet speed test winner among 4G networks, LTE is by far the most popular. In addition to 3G and 4G cellular networks, most mobile devices can also connect to wireless (WiFi) networks. The speed of these connections depends on the signal provided and the type of network card installed in the device. Maximum wireless speeds are governed by the Institute of Electrical and Electronics Engineers (IEEE) standard 802.11. Cards using the 802.11b standard can reach 11 Mbps, those using 802.11a or 802.11g can reach 54 Mbps, and those running on 802.11n have a theoretical maximum of 600 Mbps. A small number of devices also use the 802.11ac standard, which offers a blazing 1,300 Mbps at its upper end. Just like 3G and 4G networks, however, several factors impact overall speed. Distance to the wireless source, interference from other wireless networks, and number of users sharing the same bandwidth may all conspire to limit speed. Realistically, users with an 802.11a or 802.11g connection can expect 20 Mbps download, while 802.11n should get 40 to 50 Mbps. So who wins the Internet speed test? At small distances, with an 802.11a or better network card, WiFi comes out ahead. Beyond the reach of wireless, however, 4G LTE offers the best connection and the most coverage, but its scope is still fairly limited. Think of 3G like the tortoise in this race; slow but steady, and still reliable — and still providing service for the bulk of mobile users.